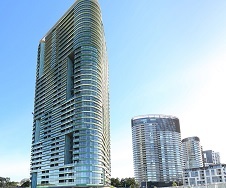 The Queensland Government has moved to reassure people about building safety controls in the State after engineers flagged ‘a number of design and construction issues’ at the Opal Tower building in Sydney. Residents were evacuated from the 34-storey building over the Christmas period due to cracking, sparking fears it was structurally unsafe. Queensland Housing and Public Works Minister Mick de Brenni said that maintaining confidence in Queensland’s $46 billion a year industry was paramount in the wake of concerns raised over the structural integrity of the Opal development. He said that whilst questions have been raised about the builder and certifier in the Opal case, it is the whole system that needs attention. “The building and construction industry in Australia has seen decades of deregulation, largely in the pursuit of productivity,” he said. The Palaszczuk Government in 2017 published the Queensland Building Plan (QBP), which sets out a reform program across the building and construction industry covering everything from building product safety, through to security of payments and the important issue of building certification. “Queensland is much further down the path of restoring effective regulation and oversight within the construction industry than other states, including the introduction of nation leading non-conforming building product laws to ensure the safety of Queenslanders,” Mr de Brenni said. He said the Palaszczuk Government would be advancing several reforms this year that will strengthen independence and improve professional standards and compliance of certifiers. The Queensland Building Plan also furnished the Queensland Building and Construction Commission with new powers of investigation to ensure industry regulations are being properly complied with. Mr de Brenni said he had asked the Queensland Building and Construction Commission to use its new powers to look into the activities of the Opal builder (Icon) and certifier in Queensland. Mr de Brenni said the QBCC was continually monitoring building activity around the state and conducted regular audits of building sites. During the last financial year, they inspected approximately 5,820 sites and issued 827 Directions to Rectify. “At the next Building Ministers’ Forum due in February, I will demand the federal government and all states and territories ensure they are meeting the high standards Queensland has set,” Mr de Brenni said.